The based in Germany tuner is prominent around the globe for aggressive outlook of its projects. Though, this time, working with the Tesla Model S, Mansory used some other approach. Mansory outfitted the Model S with the innovated front apron having integrated LED daytime running lamps, a rear apron with diffuser insert, a rear spoiler lip and side skirts. Ultra-light carbon fibber was used for the vehicle. Mansory stated that nothing in the vehicle looks ostentatious or pretentious. The automaker did not give precise numbers in order to back up the claim. Meanwhile, Mansory assured that stopping distances, acceleration and the consumption of energy for the model under consideration are improved. This became possible thankfully to vehicle’s weight reduction. Therefore, do not wait for some serious improvements. Probably, the design package will not add any important range to the vehicle either. The styling set is completed with illuminated door sills, aluminium pedals and a sporty helm inside the car. Customers who are willing to get a bigger and sportier wheels will be able to obtain 22×10-inch M10 rollers along with 295/25/22 tyres. 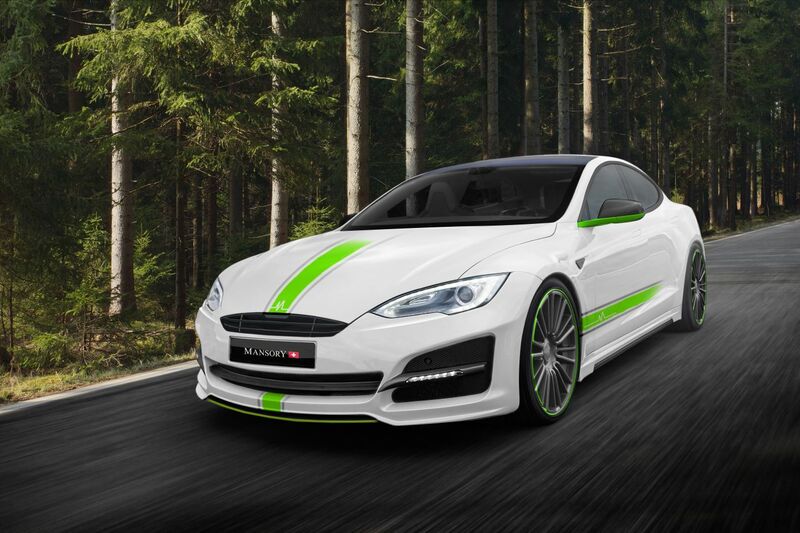 Prices for the wheels and aerodynamic package for the Tesla Model S from Mansory are unknown at the moment.